Man Utd XI: Richardson; Tanner, Ercolani, Barrett (Garner ’57), Spratt (Williams ’81); Whelan, Hamilton; Boonen, Buffonge (McGhee ’57), Dearnley; Burkart. Blackburn XI: Campbell; Wright (C), Buckley, Blackburn, Thompson; Jackson, Evans; Wilson, Paton, Dolan; Lynch. After a season in which the goals have flowed frequently, Man United finished their U18 Premier League campaign in defeat to Blackburn Rovers. Ethan Hamilton netted a brace, making it four goals in his last five from midfield. He gave United a 33rd minute lead, reacting to a loose ball. Jack Evans thundered home an equaliser almost immediately for Blackburn, and Bradley Lynch headed home his 10th of the season in added time of the first half to give the visitors the lead. In between the two Rovers’ goals, Nishan Burkart had poked home a rebound off the crossbar after the wall had deflected Indy Boonen’s free-kick there. The linesman had his flag up for a goal that should have stood. A weak hand from United ‘keeper Theo Richardson couldn’t keep out Paton’s 55th minute shot and Blackburn extended their lead. The introduction of two under-16 players improved things for United. James Garner replaced Jake Barrett for his second appearance at this level, having made his debut last week against Arsenal. Dion McGhee was lively after replacing DJ Buffonge, who, along with Belgian Indy Boonen, was returning from injury after a number of weeks out. It was McGhee’s debut. Hamilton struck home yet another wonderful long range drive, a feature of his game well demonstrated this season. That gave United some hope, but Rovers soon regained a two-goal lead. Lewis Thompson tucked home a fourth, Blackburn scoring moments after a scrap in the middle of the pitch which Hamilton calmed down superbly, showing signs of leadership to completely shut down the scuffle. Brandon Williams became the third under-16 player to debut at this level when he replaced Harry Spratt, and played well in the short time he was on the pitch. But United brought their season to a close with a 4-2 loss. In three games between these two sides, there have been 16 goals. More will be on Academy Man Utd in the coming days on the under-18s this season. However; if there is one word to sum this campaign, it’s progress. 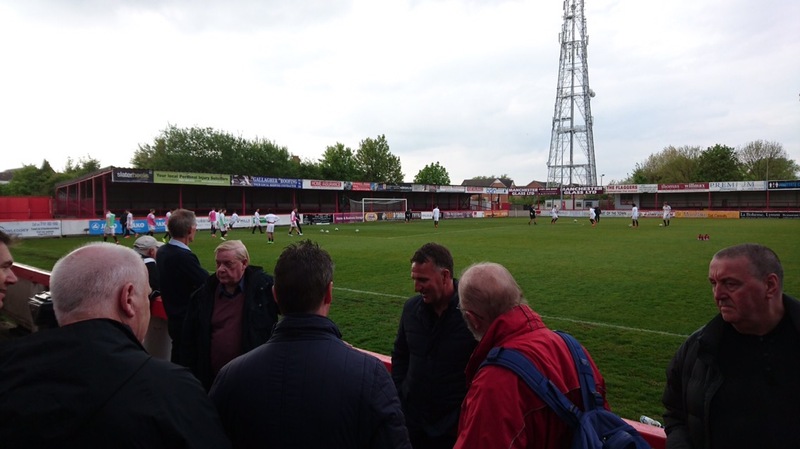 Former-under23s boss Warren Joyce was in attendance as well as injured youth players Angel Gomes and Max Thompson.